The falling prices and growing popularity of flat-panel televisions pushed domestic shipments of big-screen CRT TVs to almost zero during June, according to industry figures. During June domestic shipments of CRT TVs with screen sizes of 30in or above were counted as zero by the Japan Electronics and Information Technology Industries Association (JEITA), an industry group which reports monthly shipments figures to the nearest 1,000 units. During the same month shipments of LCD TVs with 30in or larger screens numbered 234,000, it said. Shipments of CRT TVs have been falling for the last few years and several companies are planning to end domestic sales of CRT TVs. Prices are falling fast and a 32in brand-name LCD TV can now be bought for around ¥150,000 (US$1,291) in Tokyo, which is less than half of what a similar TV would have cost a couple of years ago. 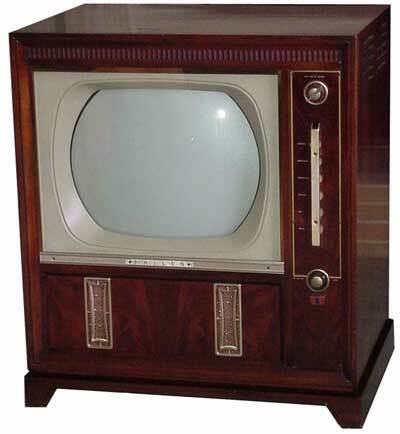 The widespread availability of digital TV is also helping boost sales of flat-panel sets, many of which have digital tuners. On the other hand CRT sets are typically analog-only. In the first six months of the year domestic shipments of all CRT TVs totaled 1.1 million, down 48 percent on the first half of last year. LCD TV shipments were up 35 percent to 2.4 million units and plasma TV shipments were up 90 percent at 297,000 units during the period, said JEITA. Last year was the first in which LCD TV shipments beat out CRT sets in Japan. For the entire year 4.2 million LCD sets were shipped versus 4 million CRT sets, according to JEITA data. Derik's Thoughts: It was inevitable. LCDs have become an unstoppable trend. Then again, I'm kinda cheap, so I bought one of those big bad CRTs.